Reports are trickling out of the Grand Lodge of Tennessee's annual meeting this morning. The word is that the resolutions introduced to strike language from their code, identifying both co-habitation without marriage and homosexual behavior as Masonic offenses, failed. These legal, private activities between consenting adults, are nevertheless, grounds for trial and suspension in that state. No further chance to attempt to change these rules can happen again until March 2017, unless the new incoming Grand Master does so during his year by edict. It has also been said that a dedicated Grand Lodge officer was voted out of the line today, allegedly because of his views on the sexual behavior rules. One Brother who was allowed to speak in favor of the resolution says he was "jeered and mocked" all the way back to his seat, and was actually openly threatened by another Brother. I will update this post if I receive more details about the estimated vote numbers or percentages. Both the Grand Lodges of California and Washington D.C. have suspended Masonic relations with Tennessee (as well as Georgia) over this issue. The Regular Grand Lodge of Belgium has suspended with Georgia, and was waiting on news of this vote today to decide whether to withdraw from Tennessee, which I suspect they will now do. Other Grand Lodges in the US, as well as the Grande Loge Nationale Francaise, have expressed varying statements about it, as well. Whether other grand lodges across the U.S. and around the world now follow in the footsteps of CA and DC and withdraw fraternal relations with TN and GA remains to be seen. For links to all previous stories about this situation, CLICK HERE. Freemasons in Tennessee voted overwhelmingly to uphold its ban on gay members Thursday during a members-only meeting in Nashville, according to Freemasons who witnessed the vote. The Grand Lodge of Tennessee did not return The Tennessean's request for comment. The organization has about 41,000 members in Tennessee and more than 300 lodges across the state, according to the Grand Lodge's website. While the organization is secretive, bans on allowing gay men to participate in Tennessee and Georgia have prompted public discussion locally and globally, said Christopher Hodapp, the author of "Freemasons for Dummies," in a Thursday blog post. Grand Masters nationally and internationally have weighed in on the debate, and California and Washington, D.C., grand lodges have suspended Masonic relations with Tennessee and Georgia because of it. In the fall, the Grand Lodge of Tennessee suspended two Memphis Freemasons — Dennis Clark and Mark Henderson, who married in June after the U.S. Supreme Court decision legalizing gay marriage, according to Hodapp's blog. A handful of Nashville Freemasons have withdrawn from Tennessee chapters in order to speak out for the two men. “I’m not gay myself, but I have friends who are, and I don’t think this is right, and it is something that will prevent younger members from joining the organization that has seen decreasing numbers since World War II,” said Nashvillian Chase Geiser on Monday. Geiser, a 25-year-old Freemason who joined the order in 2011 and became a full member in 2012, said the grand lodges of Tennessee and Georgia have drawn particular criticism for their bylaws banning homosexual members. In the Freemasons, Geiser said, each state’s grand lodge has its own constitutions and bylaws, separate from others nationally and internationally. Geiser said the suspension of the two Memphis Freemasons has cast light on a broader cultural issue within the Freemasons for which many efforts have been made to combat. Geiser said the organization saw a spike in membership following World War II, and then a large falloff in the baby boomer generation. Now, he said, many young men are looking to align themselves with socially conscious fraternal organizations. Some are looking to find a home among Freemasons and there is a difference of opinion between what he called “the old guard” and the new members, he said. “There’s this cultural and ideological divide,” Geiser said. “Now, we are at 25 percent of the membership just after World War II. The average mason in Tennessee is a 69-year-old man. WKNO-FM, the Memphis NPR affiliate also reported the story on it's evening broadcast. CLICK HERE to read it or listen. The Tennesseean story was subsequently reprinted nationally in USA Today. Sad day for Freemasonry. As WM, I was blessed by never having to deal with this issue. I don't envy the various Grand Masters for having to decide the course that their respective jurisdictions are to take on the matter. Any issue that hurts one Brother affects us all. So sad we have to face these issues as well as the lingering issue of acceptance of Prince hall Masons. There should be no place for, and no thought of, hatred of any sort in any Grand Lodge. Honestly, it is time for a unified Grand Lodge of the United States. I believe that a unified Code for all F&AM body would be beneficial. On the day that we can truly sit together as brothers, with no bigotry between us, I'll return to the lodge. I'm not holding my breath though. Or PHGL of TN, of course. Never in my life have I been more disgusted to be a Tennessee Mason. 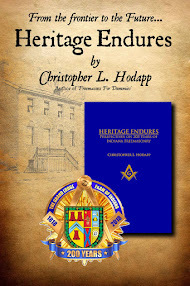 The actions of my Grand Lodge are detrimental to the strength and harmony of the fraternity. 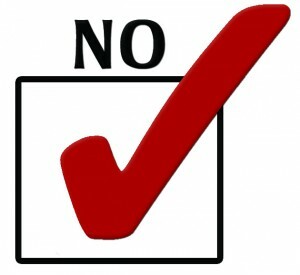 I rose in support of the proposal and was shouted down by NUMEROUS brethren telling me I needed Jesus. I have the honor to serve my lodge as Worshipful Master this year but am unsure if I will have the want to continue my term. My good fiend and brother has served the Grand Lodge as Senior Grand Warden this past year and was voted out because he supported the proposal. This man served his fraternity with class and they voted him out just because he had a difference of opinion. As soon as my term is over I will be transferring to another Grand Jurisdiction and totally withdrawing my membership from the bigoted Grand Lodge of Tennessee. Have a look at joining the Internet Lodge - Google it, you won't regret it! You are in my thoughts today good brother as well as those who even though Masons,refuse to let light into there hearts. I am both saddened by hearing this and pleased to hear your statement. I said earlier that the biggest loss in this debacle are the Brothers who will be lumped inyo this situation, such as yourself and the blow to Brotherhood that this will cause. Greetings from NC Brother. Please tell me that you are exaggerating brother. It is truly heartbreaking to hear that this is a true story. I've been a Brother in Internet lodge for a few years now. One of these fine days, I will fly over for one of the stated communications. As one of the three they allowed to speak on behalf of this, I feel your pain brother. I was jeered and mocked all the way back to my seat. One brother went so far as actually threaten. I'm saddened, appalled, and disgusted with this grand lodge. The fear mongering by ordering brothers to report to the grand master anyone who used a cell phone or tablet for fear of recording was like some sad police state. More than anything though, the grand lodge officers being proud off their silence to the media angers me. We're called bigots and worse in the press but yet they do not hold up their obligation and vindicate us after we're traduced in such a way. As one of the other two that they allowed to speak in defense of this change, it was a heart breaking experience. The level of hatred and blind bigotry was palpable. I was met with mocks and jeers all the way back to my seat and even threatened later. Between this and the Gestapo-like order for all brothers to report any brother they saw using a phone, tablet, or computer for fear of recording; I weep for Tennessee masonry today. For those brothers who said they were threatened, I'm curious, how so? What was the nature of the threats? I'm not a Mason, but I'm glad I'm here in PA. If I lived in TN, I would probably be one of the protesters. This is disgusting. 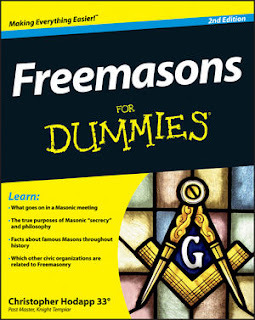 Mr. Hodaap, I realized that "Freemasons for Dummies" is a marketing and branding thing, and I respect that, but perhaps you should consider offering your web address to the TN Grand Lodge. I love your suggestion nateprentice! Freemasons in Tennessee are NOT dummies sir. Are you traducing my good name? Maybe charges are in order? Nevermind, your not a Mason. I see that now, so actually do you have any reason to be on this board? I think not. I seriously doubt that charges brought by a Tennessee Mason against a brother in any other state would be considered valid at all right now Nathan. The rest of us are very ashamed by y'alls actions. A recent poster noted that his Presbyterian denomination had gay pastors, celebrated gay weddings, and affirmed gay relationships, so in his view, his religious beliefs were being subordinated to the religious beliefs of others -- and moreover, religious beliefs had not place in Masonry. The Tennessee vote shows again that the southern grand lodges are not in step with what defines Freemasonry in most of the rest of the world. if grand lodges elsewhere persist in recognition, they are signaling that they are willing to go along. It's dishonest. We are lying when we admit them to a universal brotherhood. It isn't universal - it's segregated and has a large number of bigots. I am sitting here reading this for the first time. I am so very sad that this has been resolved in this awful way. Never again do I see the chance for me to fellowship with the brothers I hold so dear. Never again do I see a chance for me to sit at the Scottish Rite pipe organ and assist my brothers in having their 4-32 degrees conferred upon them accompanied by beautiful creative music to set the stage. I am sad beyond belief. To my brothers at Park Avenue Lodge No. 362 I know you did not wish this to happen but I sure wish you would have stood by us through this and speak up. Canadian Mason here. I've been watching what's been happening in Georgia and Tennessee with great interest and alarm. It's a shameful mark upon a fraternity that claims to be one thing and reveals itself to be the opposite in the case of these jurisdictions. What's worse, the world at large isn't going to distinguish between the rest of the Masonic world and this perverted interpretation of what we're about. This is so disappointing. I have met many masons who are gay, and there is no difference in brotherhood or their zeal for Masonic light. The Grand Lodge of Tennessee allowed religion into their meeting, and now we have not only this result, but a brother was removed from a Grand Office over their beliefs. The various Grand Masters in the US need to gather and put out a release that TN and GA are not indicative of the many grand lodges, so that we as a fraternity can get ahead of the mess that these two jurisdictions have made. While I do not personally support gay marriage, I believe a grave injustice has been perpetrated upon the brethren in Tennessee. Will all brethren in Tennessee that co-habitate with out benefit of marriage be suspended or expelled? And if not, is it a masonic offense to fail to enforce the code equally and without discrimination? Mike - I completely agree that they can have whatever rules they like within their Grand Lodge, but as my mother once taught me: you are judged by your friends. - I don't have to respect or advocate that we continue to offer recognition as Freemasons. That is within my rights to question if TN and Georgia are Grand Lodges that I want to continue to be associated with. Proud to be a Tennessee Freemason! Some things within the fraternity south of the Mason and Dixon line will never change. How many former Confederate States still fail to recognize Ptrince Hall? I rest my case? Hiram, In the event that you may want this information, here are the U.S. masonic jurisdictions that have not recognized as regular their Prince Hall counterparts: West Virginia; Tennessee; Arkansas; South Carolina; Georgia; Alabama; Florida; Mississippi; Louisiana. The venue for the trial was moved at the last minute from a Memphis location to a location 3 hours away, and Mark couldn't get off work with such short notice. They asked for a change of date, and were refused. And even if the location change weren't the case, I'll not answer any GL summons that concerns what goes on in my bedroom. Don't pretend that a dirty political move was justification for throwing out good brothers. This isn't a Reese's. Keep your politics and religion out of my Freemasonry. Even by the Baltimore Convention definition, they were not in violation, if it was a last minute change. As I EA for 12years I don't know where to start on this subject cause like I said i am a EA that knows little to nothing but in these 12 years I made alot of bad choices cause the only person I had lodge experience with obviously was not the person I wanted to be took through the lodge with and he caught me at the most vunuable time in my life. I have been through alot over the last 12 years simply brought mostly upon myself from choices. The person that took me through preys on people and weakness. I return to my lodge today and tried to get card holders numbers which I recieved to try to start to do the work it takes to be a MM.I am so tired of being confused by brothern from the ones that I know are brothers they say they aint.I live in Georgia and went through in Tennesee and really step out on faith showing up at my lodge to ask for help. I pray I make it and get through it. Cause I want to be a better person and never go backwards again. I am beyond confused though cause I feel like I have lived through alot of these degrees. But I never want to be like the person that messed me up on being a mason cause I have have seen others including my family breeze through it in 3 months. I could be wrong but I just am tired of going through this when politics and who wants who to be in the lodge rules most of all. Its just what I see. As far as homosexuals in lodge. I am done with that life not for me. But I think everybody should have a chance to be a better person. Wish me blessings and luck cause I am just about to give up.